Oh no, zits! High school students were interviewed and asked what was most important to their appearance. A thin body, muscles, etc., or clear skin. Clear skin was most important. A recent TV documentary on the biology of human sexuality indicated that clear skin is one of the first features of human beauty and attraction. Thus, clear skin is important to self-image, social bonding, and self worth. With this in mind, my goal is to help you or your loved one have the clearest skin possible. Common Acne: A Medical Point of View is intended to be straight forward, non-biased, medically based, and free from any acne product advertisements. What is acne? We know common acne as blackheads, pimples, and zits. Acne is medically defined as an inflammatory disease of the hair follicle. The word "acne" is derived from the Greek word "acme," meaning, "point." And acne appears as many skin "points," ranging from comedones ("blackheads" or "whiteheads") to solid bumps, pus pimples ("zits"), and even large cysts. Acne mainly affects the face, but may also appear on the shoulders, back, and chest. As you probably know, acne is a common skin disease of adolescence, when hormones change and fluctuate. Boys are slightly more prone to develop acne than girls and often suffer more severe acne. Those whose parents had bad acne may also have a tendency to severe out-breaks. The presence of acne is almost universal in teenagers of all races. Other “cousins” of teenage acne also exist, including adult female acne, acne due to external pore blockage, and adult acne: Rosacea. What causes acne? Acne is commonly seen in teens and young adults, and sometimes seen in infants. During teen years, the same hormones that trigger puberty also trigger changes in skin oil glands. The hormones are male type hormones called androgens and are responsible for production of an oily substance called sebum, which normally softens and lubricates the skin. Please see diagram 1. Acne starts within the sebaceous glands (oil glands) that connect to hair follicles. The sebaceous glands are usually dormant from birth until puberty. Then, under the influence of hormones, they burst into activity, pouring sebum up through the follicles onto the skin's surface, causing the face and nose, to be shiny with oil. This process is more or less normal in adolescence. Most teenagers have oily facial skin. As long as the oil can freely flow out onto the surface of the skin, the teen will have no major problem with acne. So then, what causes acne? Acne lesions develop when oils are blocked and cannot flow out freely. Unfortunately, acne prone people produce a sticky glue like substance that is deposited between skin cells and tends to block the openings of oil glands. 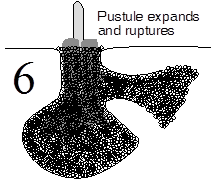 This substance forms a “sticky plug.” See diagram 2. In people with acne, the cells are "sticky" and are not easily shed. The pores become plugged with the sticky plug of sebum, oils, and dead skin cells. These "sticky" cells run in families with acne problems. As oily sebum travels out the hair follicle towards the surface of the skin, the plug becomes larger. This results in an open comedo, also known as a blackhead. See diagrams 3 and 4. A blackhead is formed when sebum, oil, and dead cells are exposed to surface air. Blackheads look like tiny black dots on the surface of the skin. It is very important to realize that the black color of the blackhead is not dirt. Small white dots on the surface of the skin are called whiteheads. A whitehead contains a sticky plug, oils, and dead skin cells, but has not been exposed to the air, and remains white instead of black in color. A whitehead is closed, and is called a closed comedo or milium. Our nurse can extract blackheads and whiteheads. What happens then? The plug may reach the opening of the outlet and appear as a black dot on the skin. This is an "open comedo" or "blackhead." The dark color is not dirt, as once commonly believed. It is thought to result from chemical changes due to air exposure. If the new comedo does not push itself to the surface, but remains just below the skin, it appears as a tiny, rounded, whitish elevation. This is the "closed comedo" or "whitehead." See Diagram 5. 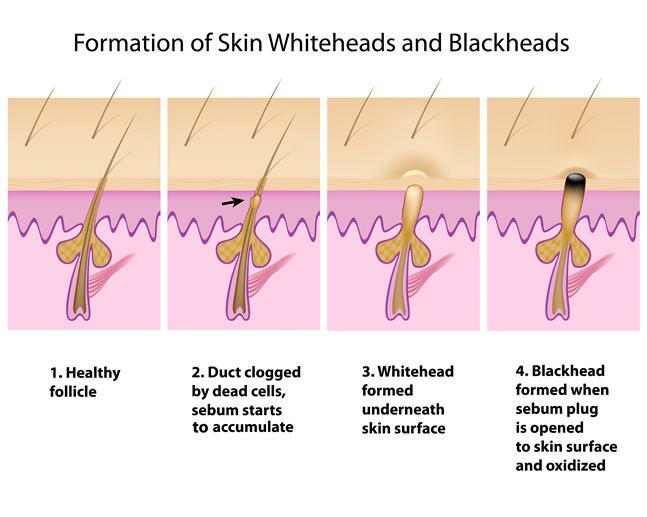 Both "blackheads" and big "whiteheads" may remain in the skin for a long time. In mild cases comedones may be the only manifestation of acne. The most important point to understand with this discussion is that acne is caused by blockage of pores. Thus, anything external that blocks pores will also cause acne. For example, mineral oil and petrolatum block pores by enhancing sticky plugs, thus blocking free flow of oil out of the pores. Acne = Androgens + Blocked pores + Infection. Read on. As the follicles remain plugged, bacteria called propionibacterium acnes infect them. These bacteria digest the oils to release free fatty acids. The free fatty acids cause irritation, inflammation, and pustules. In certain cases, the big plugged follicles may burst and oil may leak out into the surrounding skin, causing scars. A large cyst can become like a big stretched out balloon that explodes. See diagrams 6 and 7. This bursting effect can cause permanent scars and may leave skin depressions, ice pick like scars, and holes in facial skin. Our first goal is to prevent scarring as we treat acne. Life long scar prevention is our most important goal. Hormones will eventually subside and so will acne, but scars will remain if they are not prevented during adolescence. Yes, acne will usually go away by itself. In girls, acne is usually at its worst from the ages of 14 to 17. In boys, acne reaches its peak in the late teens. Thereafter, its severity decreases and acne usually subsides by the early twenties. However, in some cases, the deeper lesions may leave a small, depressed scar or a lumpy scar. While the condition is active, acne may alternately erupt and then improve. It is up to you and your doctor, working together, to help control it. Think of active acne as a battlefield on your face. You are warring against bacteria and inflammation as they try to inflame and infect your teenage face. 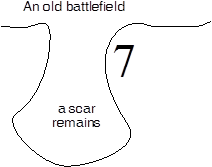 After the battle is over, and if the battle has been long and drawn out, the battlefield may show many areas of destruction. There may be holes and craters. These represent battlescars. Dr. Jacobs' goal is to help you win and end the battle as quickly as possible to prevent permanent scars. Acne will go away but scars will remain for life, so get serious! Everybody has oil glands in their face, and for practical purposes, you can think of acne prone people as those who have a tendency to produce “thick oil” in their skin. 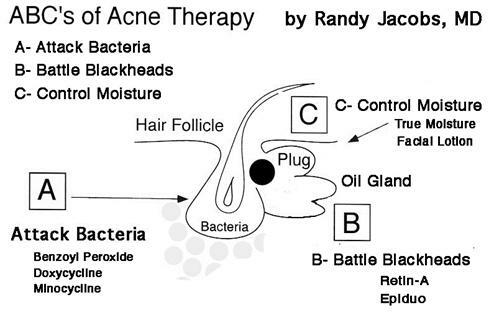 ; and, those people with less acne are those who produce “thin oil.” Thick oil leads to formation of the “sticky plug” shown in diagram # 3. In actuality, it’s much more complicated than this, because it’s really more than just oil. There are other factors as well, such as “sticky” epidermal cells, but for the sake of learning, you can think in terms of thick vs thin oil. The people with thick oil usually end up with plugged hair follicles that become infected, and thus get acne. So, if you have acne, then, you want to do everything possible to keep your pores clear and your oil “thin.” One of the best ways to “thin” the oil is to use Retin-A or Epiduo. Several factors may aggravate acne. First are Psychological Factors & Emotional Stress. Just as emotions can aggravate other skin conditions, such as eczema and psoriasis, emotions can also aggravate acne. Moreover, a teenager under emotional pressure may unknowingly pick at his pimples or repeatedly rub his face. Severe or prolonged emotional tension may aggravate acne. That's why acne may flare up before a math examination, or under stress of high school or college. Stress can increase acne hormones in your body (androgens or cortisol). Occasionally, a boy or girl may become upset over the unsightly appearance. This psychological stress may in turn aggravate the acne further. It is advisable to take daily measures to reduce stress. 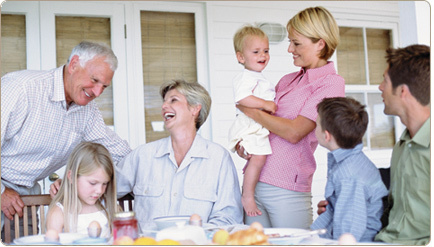 Here are a few suggestions: Talk with your friends and relatives when things bother you. Eat right. Enjoy a hobby. Exercise regularly. Hormonal Factors: In young men, various muscle building androgenic steroids may aggravate acne. In girls, acne may also worsen shortly before menstruation, because of the influence of hormonal factors. Androgens are not the only hormones that promote sebum production and influence the development of acne. Progesterone, a female hormone produced by the ovary after the egg is released, can increase acne immediately before menstruation. Oral contraceptives, which contain various amounts of progestin (synthetic progesterone), can also cause pimples or make an existing acne condition worse. Under stress, depression, or anxiety, cortisol hormones may increase acne. Certain of these can play a role in adult females with acne. Finally, certain women may have small ovarian cysts that produce excess androgens and acne. This condition is called Poly Cystic Ovary. If there is any question, our office can order hormone blood tests to rule out any hormonal imbalances. Food Factors: Are chocolate and fatty foods bad for acne? Not necessarily. These once forbidden foods seem to have little effect on the course of acne in most individuals; so, daily diet is not usually restricted. Rarely, however, there are exceptions. If you find that certain foods such as chocolate, fatty foods, excessive amounts of milk, sweets, or other foods seem to aggravate your acne, it is best to avoid them. In general, the best diet for those with acne is a well-balanced one, with adequate hydration, since good nutrition will always strengthen your health. Other acne aggravators include: Travel Factors: Travel to a different atmospheric climate may cause your acne to flare. Drugs: Acne like skin conditions may result from the use of certain drugs, primarily bromides, iodides, fluorides, corticosteroids, androgens, and drugs used to treat epilepsy. Industrial chemical factors: Industrial substances, including coal tar, cutting oils, cooking oils, and petroleum oil, may block pores and cause severe acne. 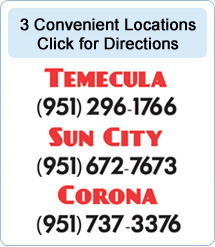 Local Factors can aggravate acne. Pressure on the skin from clothing, backpacks, football shoulder pads, headbands, sport masks, and helmets can aggravate acne by pure friction. Similarly, resting of the chin or cheek on a hand while doing homework or talking on the phone can cause a breakout. Finally, perspiration can aggravate acne. Mythical factors: While all these factors have been proven to promote acne or worsen an existing acne condition, certain other factors are widely believed to cause acne but have no scientific evidence behind them. Eating chocolate, nuts, buttered popcorn, or greasy foods will not, in all people, lead to acne. But, the oil from these, if touched onto the face, will cause acne. Because of oil on the face, working over a deep-fat fryer in a fast-food restaurant may also worsen the condition. Rubbing popcorn butter over your face will also aggravate acne. Routine sexual activity does not prevent or clear up acne, and masturbation does not cause it. Although, in men or women, acnegenic androgen levels increase in large amounts under constant sexual stimulation can increase androgens; thus, some men or women may see increased acne if they are continuously sexually stimulated. Cosmetic Factors are more obvious. Cosmetics with oils or waxy substances are prone to cause acne or aggravate a pre-existing acne condition. Night creams, cleansers, moisturizers, or foundations that are not specifically labeled "oil-free" should not be used by at risk teenagers prone to acne. Products labeled or advertised as water-based should be carefully scrutinized before using. If the word "oil" appears in the ingredient list, the product should not be used. Products may be categorized as being comedogenic or non-comedogenic. Comedogenic products have a tendency to block pores and thus promote acne. Mineral oil is the most common pore-blocking ingredient. Petrolatum, cocoa butter, and lanolins are also common pore blockers. Acne patients should not use mineral oil or Petrolatum containing products on their face. Please use products that are listed as non-comedogenic. On a more positive note, water or gel based sunscreens that are primarily alcohol are usually a better choice than tanning oils, creams, or lotions. Mascara, lipsticks, and lip-glosses may have oil or wax. Many cosmetics, especially certain cleansing creams and moisturizers have greasy bases that can aggravate acne. Even certain oily "brilliantines" used on the hair may drip onto the forehead and help cause blackheads. It is important to avoid oily substances on your face by using water-based make-up instead of oil-based make-up, and by avoiding contact of skin with oily hair. The cosmetics don't, as many people think, actually plug the pore or follicular opening. What cosmetics appear to do is to alter the cells of the follicle, making them more likely to stick together and form plugs or comedones. This enhances the sticky cells described above. It is probably best to use as few cosmetics as possible for the time being. (One exception might be the cosmetics used to cover acne blemishes. They are usually made of a non-oily liquid base and powder, and seldom cause any harm.) If you must use cosmetics, use those labeled as "non-comedogenic." When moisturizing, always use a non-comedogenic moisturizer. True Moisture Face Lotion is one of the best. True Moisture is oil free, propylene glycol free, and leaves a non-shiny matte-like finish that soaks up oil as it moisturizes and restores hydration. Will vigorous washing help my acne? If you feel your skin is especially greasy, wash your face gently two or three times a day with a mild non-irritating soapless cleanser such as True Moisture Face and Body Cleanser. But, do not rub and scrub. Rubbing may only make matters worse. A mature comedo may be a few millimeters deep. No amount of rough scrubbing will dislodge it. The damage you are causing to the follicle may in fact cause it to rupture, producing scar forming inflammatory lesions. For male patients, a clean razor is better than an electric shaver for acne. Other sources of friction, such as leaning on or rubbing an area of the skin affected with acne, or the pressure from helmets or tight collars, belts, or backpacks may also have similar harmful effects. Although proper hygiene is recommended, surface dirt on the skin does not cause acne. Remember that oil, not dirt, causes acne. Should the pimples be squeezed? No, definitely not. Pimples should be left alone. Dr. Jacobs will help you decide what to do. In some cases, he may drain them. This is always a minor surgical procedure, which needs experience, special instruments, and a special technique. Although many teenagers (and older people) think that picking or squeezing pimples will help eradicate acne, picking may actually make the condition worse and may lead to severe skin infections, pitting, and scarring. It is much more prudent to leave the pimples alone to dry, no matter how tempting it may be to squeeze them, and let them heal by themselves. You can call Dr. Jacobs’ office for a special acne surgery visit to open pimples and remove comedones. Please note that most HMO’s do not cover this procedure. Digging and squeezing with fingernails results in ugly scarring. In fact, more damage can be done to the skin by picking and squeezing than by the acne process itself. Is there anything that is good for acne? For the most part, sunshine in small amounts is good for acne. Sunlight seems to help fully developed lesions disappear and decreases the emergence of new ones. Be careful not to burn. Sunlight, together with the beneficial effects of outdoor exercise and holiday relaxation are probably the reasons why acne seems to improve during summer vacation. Of course, too much sun can make acne worse and can lead to wrinkling and skin cancer. Thus, even sunlight is not all good. As a rule a tan is a response from the skin saying, "I've been damaged by the sunshine." Fair-skinned blondes and redheads often have the worst damage. In addition, prolonged heat and humidity can have ill effects in fair or dark individuals especially those una ccustomed to such a climate. 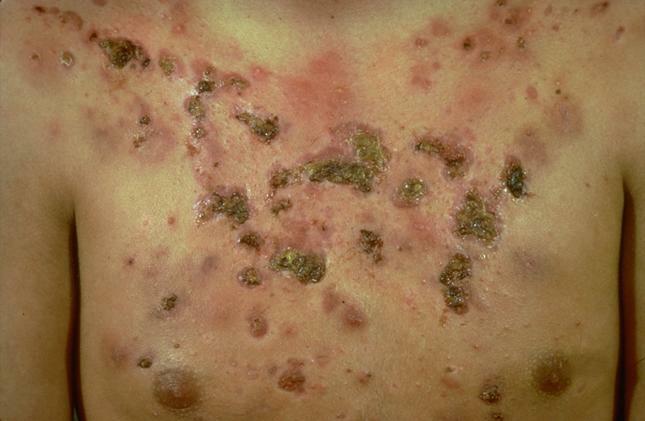 These individuals may experience explosive outbreaks of severe cystic acne, called "tropical acne." Thus, Is anything good for acne? Yes, limited sunshine, relaxation, and plenty of water. Antibiotics? Is Acne an infection? Although acne usually passes through with adolescence, a variety of treatments are available to prevent the development and spread of acne pimples. Prevention of scars and early treatment of acne tends to be much more effective than trying to rid the skin of pits and scars later in life. For mild acne, all that may be needed is frequent, gentle cleansing. Washing your skin gently with mild True Moisture Face and Body Cleanser once or twice a day can help remove excess sebum and surface oils. Do not scrub your skin too vigorously, since friction could damage the delicate hair follicles and the openings through which the sebum must flow. For more severe cases, there are many over-the-counter topical type preparations available to fight acne. Ingredients such as benzoyl peroxide, salicylic acid, sulfur, and resorcinol induce shedding of dead skin cells and surface debris, open the pores, and allow the sebum to escape to the surface. Benzoyl peroxide is probably the most effective of these agents. It is available in pads, creams, gels, and lotions, and in a variety of strengths. Benzoyl peroxide not only induces peeling, it also removes comedones, increases blood flow to the area, and suppresses bacterial growth. If used inappropriately, benzoyl peroxide can be severely irritating to the skin. Stronger is not necessarily better when treating acne. Do not use a higher strength benzoyl peroxide than you need to effectively control your pimples. If over-the-counter preparations do not help, Dr. Jacobs may prescribe a prescription drug for your condition. Tretinoin (Retin-A), a derivative of vitamin A, is a topical prescription drug that is very effective in treating blackheads and whiteheads by removing comedones and interfering with the formation of new ones. Retin A somehow makes the sticky fluids less sticky. Thus, the sticky plugs are not able to form. Tretinoin should be used only after you have read and understood the proper use of Retin-A. Differin and Tazorac are newer topical medications, and are in the same family as Retin A. Differin and Tazorac are used like Retin A. With Retin A, Differin, and Tazorac it may take up to three months before you see results. Do not be discouraged. These medications are preventative, not curative. Once the old acne cells have been replaced by the Retin A, Differin, or Tazorac, your skin will have less acne as long as you use the medication. If you stop the medication, you will see the acne return in three or so months. So, do not stop RetinA until you are out of puberty. Topical antibiotics, such as erythromycin, tetracycline, or clindamycin (cleocin), are particularly effective against the bacteria living within the hair follicle and reduce the amount of irritating free fatty acids in the hair follicle. Topical antibiotic therapy may not be enough to eradicate severe, cystic inflammatory acne. Oral antibiotic therapy is sometimes necessary to clear up tough infected areas, since an oral antibiotic can better penetrate the underlying skin tissue. There may be restrictions, such as when or with what foods or vitamins the antibiotic should be taken. It may take several weeks of treatment before the antibiotic's therapeutic effect is seen. Females who do not respond to antibiotic therapy may benefit from the estrogen contained in oral birth control pills, which decrease the size of sebaceous glands and reduce oil sebaceous production. A pill: Isotretinoin (Accutane), like Tretinoin, is also derived from vitamin A, but is given orally. Accutane strongly inhibits sebum production and the growth of bacteria within the hair follicle. Although very effective, Isotretinoin must be used under strict medical supervision because it can cause very severe birth defects. Isotretinoin must not be used by anyone who is pregnant. For women who may become pregnant (i.e. all women of childbearing potential), strict birth control must be practiced during Accutane therapy and for two months after discontinuing Accutane. The Smoothbeam 1450 nm diode laser is the first device specifically designed to target the root cause of acne, the sebaceous gland. It provides the perfect balance of controlled cooling of the epidermis with precise heating of the upper dermis. And for patients seeking smoother skin, Smoothbeam safely improves acne scars. Dr. Jacobs can help you with Smoothbeam. Other acne treatments are available. Dr. Jacobs’ nurse can perform acne extractions, in which large acne lesions are drained and whiteheads and blackheads are removed using special instruments. Dr. Jacobs’ nurse can also apply fruit acids, which peel the skin to exfoliate blackheads, and open pores. Injections of diluted cortisone into enlarged acne cysts can also help. The injections can result in a flatter pimple. Caution, cortisone injections can cause loss of subcutaneous fat, and depressed skin areas around the injection site. These usually improve with time. Cryotherapy, another in-office procedure, involves applying cold liquid nitrogen to the acne areas. Cryotherapy causes a superficial peel that exfoliates blackheads and opens pores. Ultraviolet light therapy is sometimes used to treat acne, but is not considered as helpful as natural sunlight, which benefits some acne patients by increasing blood flow and by aiding the drying and healing of acne lesions. Please be careful with sunlight and sunburns. Only brief ultraviolet exposures are needed. What will Dr. Jacobs do to control my acne? Most importantly, Dr. Jacobs is concerned with clearing your acne and preventing scars on your face, back, and chest. He will study the characteristics and stages of your acne and can offer the measure or measures that seem most suitable. Dr. Jacobs will discuss with you what is likely to help in your particular case. There are many treatment options for acne. Your particular treatment should be based upon the type and severity of your acne. To effectively treat your acne you will need motivation, and patience, since acne therapy can be a slow and frustrating process. Dr. Jacobs treats acne by his ABC’s of acne therapy. Please refer to the ABC diagram at the end. Antibiotics: Dr. Jacobs may prescribe oral or topical antibiotics for the control of acne. Topical antibiotics may include benzoyl peroxide, erythromycin, or clindamycin. Topical antibiotics are applied to the surface of the skin to help fight the bacterial component of acne. Oral antibiotics are indicated for severe inflamed, pustular or papular types of acne. If prescribed, you may need to take them for one to three months, depending on the severity of your acne. You may need to try a few antibiotics before you find the one that works for you. 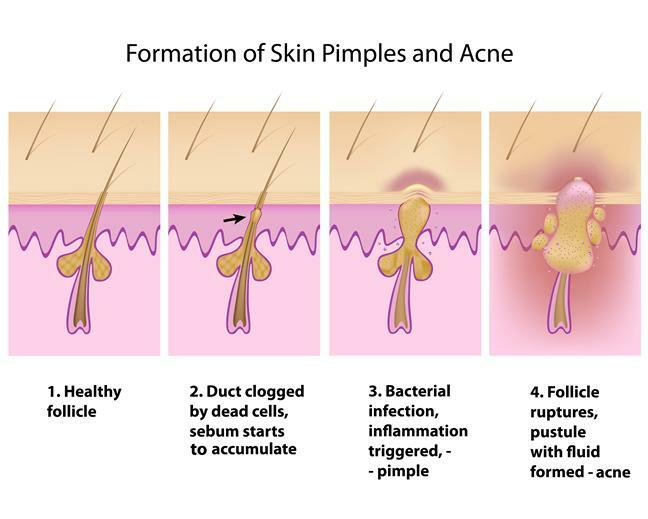 Remember, acne is an infection caused by the bacterium P. Acnes. Certain strains of P. Acnes may be resistant to even the most expensive antibiotics. Finding the right antibiotic for your acne is like finding the right key to fit a lock. Before you take an antibiotic, you should ask the pharmacist for an information sheet to explain any antibiotic side effects. Most important with minocycline, tetracycline, and doxycycline is to avoid sun. These antibiotics can accelerate tanning and can cause severe sunburn. Retin A: Retin A, Epiduo, Differin, and Tazorac have a unique way of decreasing the stickiness of pore cells, and thereby cause removal of the plug. You will also notice that Retin A causes scaling. This scaling also helps to remove the plug. Think about it... If you remove the plug, you will not get a buildup of sebum. Your sebum will flow out normally, and acne will not develop. This is like removing the blockage from a plugged kitchen sink...Everything will flow better. Differin and Tazorac act in a similar way. Retin A, Differin, and Tazorac are drugs that prevent acne from developing. Do not expect immediate results from Retin A, Differin, or Tazorac as these drugs are only preventative. In reality, it takes 16 weeks to see results from Retin A, Differin, or Tazorac. Retin A, Differin, Tazorac, and Accutane may actually make acne worse before you see improvement. They may bring all your acne to the surface before you see your final good results. Most acne medications, for example Retin-A, Tazorac, Benzoyl Peroxide, and Accutane are very irritating to the skin barrier and can cause drying and scaling. Thus, teenagers may become frustrated and may want to discontinue the medication. Don’t do this!. Just use the right moisturizer, and/or decrease the amount of medication applied. It is important to moisturize using the correct facial lotion that does not block pores. Many facial lotions contain paraffin and oils or other pore blocking agents that can actually make acne worse. Using True Moisture Facial Lotion enhances the skin barrier by replacing lipids into the skin. Lipids are an important component of the skin barrier. After careful counseling and consideration, Dr. Jacobs may prescribe Accutane (Isotretinoin), which will inhibit sebum production and shrink oil glands. With no sebum, acne will not develop. In certain cases, Dr. Jacobs may prescribe medications that counteract the acnegenic male hormones, which cause acne. These anti acne medications may include the anti-androgen medications spironolactone or estrogen. They are reserved for women with hormonal acne. Remember: Acne clearance may take 3 or more months. Please be patient. After you are clear, don't stop the Differin, Epiduo, Tazorac, or Retin A! They are preventative meds. THEY ARE “OIL THINNERS.” It’s good to know that True Moisture Gentle Face Lotion used twice a day on the face can help prevent irritation from the drying effects of Retin A, Differin, Tazorac, Accutane, and Benzoyl peroxide. Finally: Everybody has oil glands in their face, and for practical purposes, you can think of acne prone people as those who have a tendency to produce “thick oil” in their skin. ; and, those people with less acne are those who produce “thin oil.” In actuality, it’s much more complicated than this, because it’s really more than just oil. There are other factors as well, such as “sticky” epidermal cells, but for the sake of learning, you can think in terms of thick vs thin oil. The people with thick oil usually end up with plugged hair follicles that become infected, and thus get acne. So, if you have acne, then, you want to do everything possible to keep your pores clear and your oil “thin." Remember, untreated acne can lead to scars, and acne scars can be permanent for the rest of your life. When it comes to acne care, scar prevention is the key. For this reason, Dr. Jacobs takes your acne care very seriously, and hopes that you are also serious and consistent with your medications and follow up.